The Prime Focus Spectrograph (PFS) of the Subaru Measurement of Images and Redshifts (SuMIRe) project has been endorsed by Japanese community as one of the main future instruments of the Subaru 8.2-meter telescope at Mauna Kea, Hawaii. 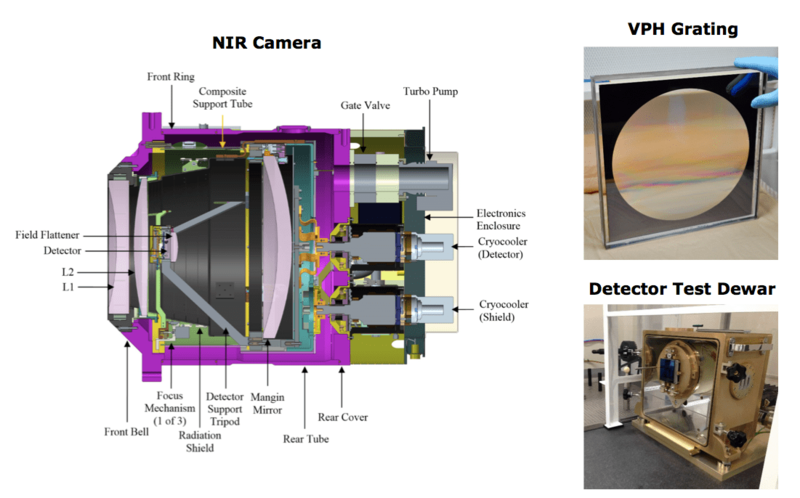 This optical/near-infrared multi-fiber spectrograph targets cosmology with galaxy surveys, Galactic archaeology, and studies of galaxy/AGN evolution. Taking advantage of Subaru’s wide field of view, which is further extended with the recently completed Wide Field Corrector, PFS will enable us to carry out multi-fiber spectroscopy of 2400 targets within 1.3 degree diameter. A microlens is attached at each fiber entrance for F-ratio transformation into a larger one so that difficulties of spectrograph design are eased. Fibers are accurately placed onto target positions by positioners, each of which consists of two stages of piezo-electric rotary motors, through iterations by using back-illuminated fiber position measurements with a wide-field metrology camera. Fibers then carry light to a set of four identical fast-Schmidt spectrographs with three color arms each: the wavelength ranges from 0.38 um to 1.3 um will be simultaneously observed with an average resolving power of 3000. 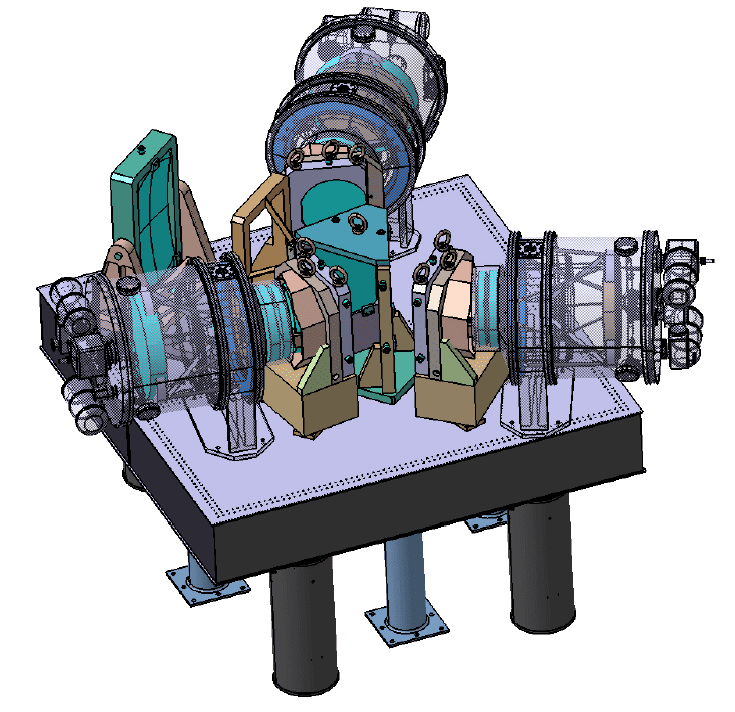 Before and during the era of extremely large telescopes, PFS will provide the unique capability of obtaining spectra of 2400 cosmological/astrophysical targets simultaneously with an 8-10 meter class telescope. The PFS collaboration, led by IPMU, consists of USP/LNA in Brazil, Caltech/JPL, Princeton, & JHU in USA, LAM in France, ASIAA in Taiwan, and NAOJ/Subaru.